We all have a day (or days) like this! 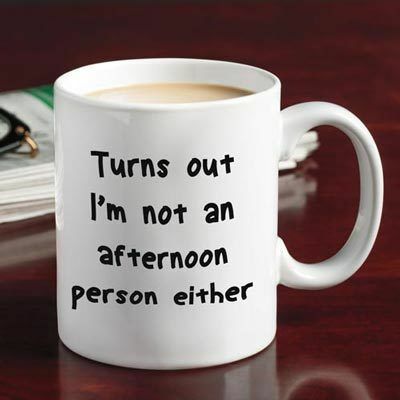 Classic white ceramic Afternoon Person Mug holds 12 ounces of your favorite beverage and serves as a warning to others! Microwave safe. Hand wash. Hurry! Quantities are limited!